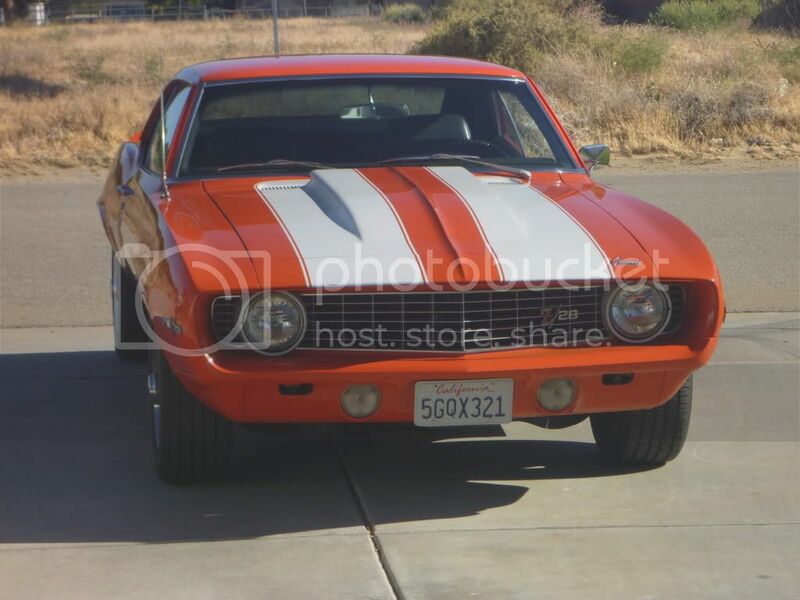 I am looking for some input / recommendations on the best fuel to use in my 69 z/28. Its 302 has been rebuilt recently and I have been using 93 Octane pump gas. I found a place that sells both 110 Leaded and 100 Unleaded (GT100). I assume the engine, and its 11:1 compression, will simply run better with the higher octane fuel. The 110 Leaded and the 100 Unleaded are the same price. Which should I use? Also, is it worth it? It obviously costs a whole lot more and the fuel station is a bit of a hike. My '69Z runs fine on 93 octane pump premium, with no detonation issues. I run 8* initial advance, with about 26* centrifugal, all in by 2800, and a NAPA/Echlin VC-1810 vacuum advance can that's fully-deployed at 8" Hg. and connected to full manifold vacuum. The late-closing intake valve and high overlap of the "30-30" cam brings the DCR down; a milder cam with an earlier-closing intake valve and less overlap will result in detonation with the stock 11:1 compression. Would that running higher octane than required could cure all the motor ills it has been given credit for!!! Pardon the pun, but there are better ways to get more bang for your buck. I've been told for forty years that you should follow the manufacturer's recommendation for octane, because if you still get detonation (bad "knock", etc); then there are other things that need adjustment. The present day unleaded 87 octane fuel should generally run okay with a compression ratio of 9.3 : 1 or less. Thus, your Zs do need what we all called "high test" in the 60s. If you are running premium and still getting detonation (or just plain old bad performance), there are several things about your car's set up that you should check. I'd start with these three basics: heat/spark, fuel/air and timing. Thank you both for your replies. In my case, the engine seems to be running fine without noticeable knocks/pings. A few people "in the know" have made comments about what they heard coming from the engine and recommended the race fuel. One of them said it would be like night and day. As a newbie to all this, I appreciate the education you are providing. Lakeholme mentions that the z's DO need "high-test". I'm not sure if he meant 93 or the race fuel. Can someone comment on 100 Unleaded Vs. 110 Leaded. Would one theoretically out-perform the other? Sorry to not be clear... I meant 93, just like JohnZ said. I realize they are "scientific" and not so practical, but it will give you an idea about the various factors involved. The practical comes when you get your set up (tune) right. Sounds like John has it right for his equipment. In a Z --that is set up just right-- I don't doubt that the SUPER octanes (100+) would give SLIGHTLY better performance. You don't need a Sun machine to "map" and adjust your advance curve - all you need is a dial-back timing light to "map" what you have, and an assortment of springs to set up the curve; occasionally the stock rubber limit bushing has disappeared, but others are available in the various "advance kits" if you need them. Your "total timing" (34-36 degrees) is the sum of initial advance plus centrifugal advance - vacuum advance doesn't enter into that equation at all, as the vacuum advance drops out when you put your foot in it - it's only in effect at idle and steady-state cruise. When checking "total timing" and setting up your curve, the vacuum advance should be disconnected and plugged, just as it is when setting initial timing. Tuned my 302 per Johns instructions on 91 octane California gas. just time consuming. The key is get the right tools and mapping the curve! My car runs great no hesitation and no ping! and such is a Hassle. The one thing to keep in mind is that there are different formula's of gas through out the country. I leave in the Chicago area, and I've read that our gas is different from other parts of the country do to the air pollution. I know my 302 runs a ton better on racing fuel than on pump gas. The car idles better, and the throttle response is better.